A young boy looks through a view finder over the water in Sag Harbor. 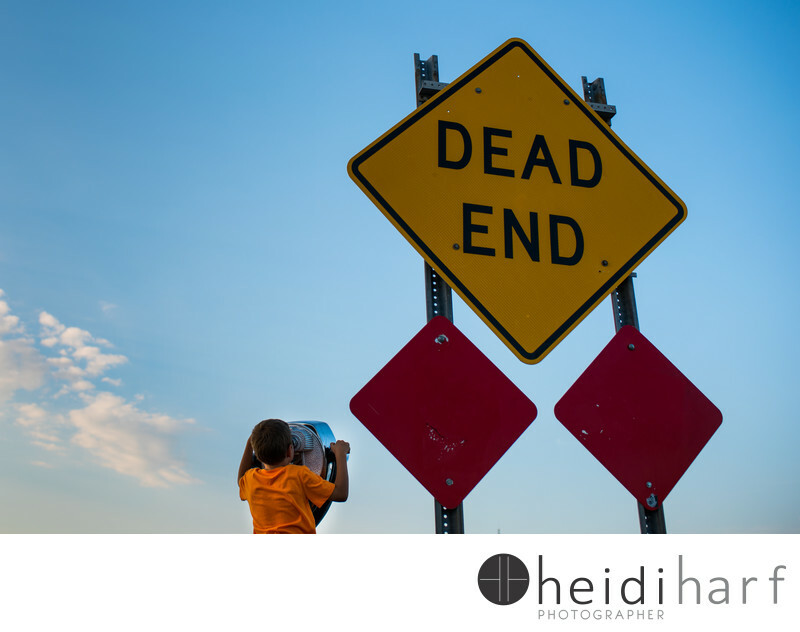 The sign says dead end, but obviously there is more out there to see. This picture was taken on a recent family session in the hamptons. Sag harbor. Location: sag harbor wharf, sag harbor, new york. Keywords: family photographer (66), Hamptons (39), sag harbor (12).